Hello! I’m Kristin. I wanted to hijack my normal blog post this week to share some excitement coming to you from Wordwraith Books! I am proud and excited to bring you CAPSULE, the first novel to be published under the Wordwraith’s on March 1st. It is an adult fiction, soft sci-fi thriller. Arcturus Holst is famous before he’s even born. He’s the first human ever born in outer space, and if the mission is carried out correctly, would be the only human to experience what is beyond the knowledge of our existence. Technological advances in space travel have allowed humans access to the outside of our galaxy. The only thing is- it is a suicide mission. Two married scientists sign up for the job. They needed Arcturus to carry out their life’s work. His importance to all of mankind was instilled in him from birth, but he can’t help but struggle with the fact that none of this was his choice. 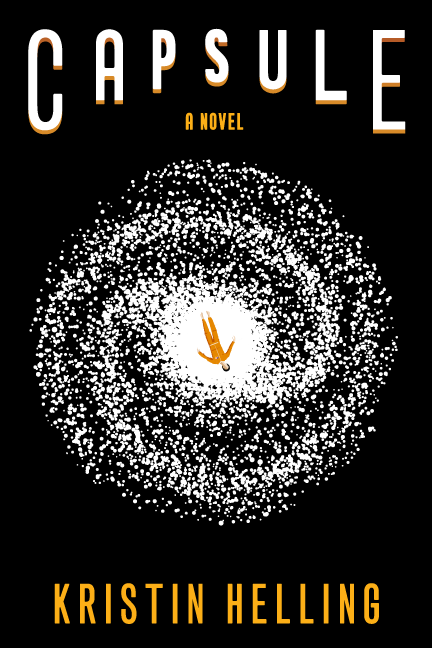 Living his life alone, behind digital screens, and in the merciless void of interstellar space, can he discover the answer to his questions: Was he born as just a science project, or does his life have a greater purpose? Capsule will be available March 1st through Amazon and other outlets. For those of you in the Kansas City metro, you are all invited to the CAPSULE book “launch” (pun intended) party on Friday, March 4th at 6pm at Parkville Coffee in the Northland. Come join us for a celebration of this release where there will be a full latte bar, fun giveaways with the book, and great conversation! Previous postSocial Media for Writers – The Master Post!